The Square Hi-rise Freestanding Bath Mixer with Hand Shower is a wonderful choice for any bathroom. 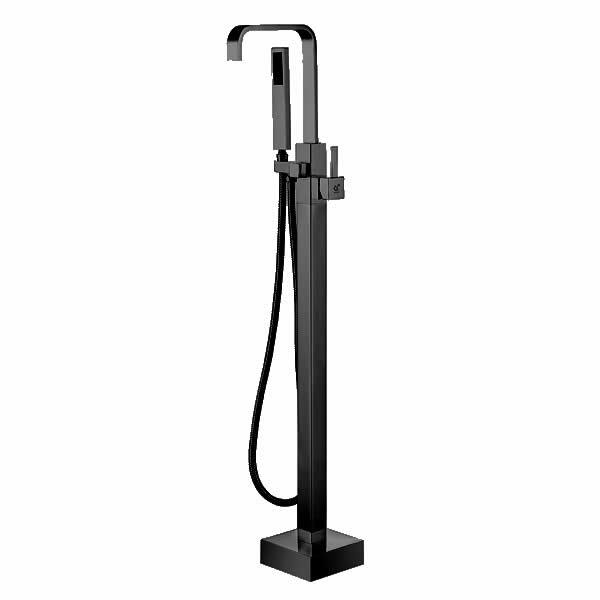 And, it’s stylish and elegant matte black finish will easily complement the décor of both traditional as well as contemporary bathrooms. The Square Hi-rise Freestanding Bath Mixer with Hand Shower is an ultra-modern floor mounted bath mixer which is both practical and attractive. 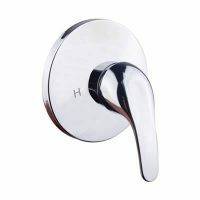 It comes equipped with a hand shower and is suitable for usage in baths. It includes a ceramic valve with a 35mm cartridge and boasts of a flow rate of 2-1/2 gallons per minute. 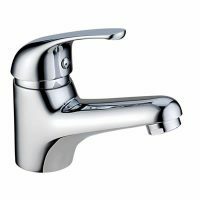 The body of this tap is manufactured using durable brass and it also comes equipped with a stainless-steel hose and a zinc handle. The Square Hi-rise Freestanding Bath Mixer is a high-quality product that has been designed to withstand the rigors of daily bathroom usage. It will not lose its performance or surface finish even after years of use. Its quality is measured by its cUPC certification and Watermark standards approval. For elegant matte black bath mixer taps in Perth, look no further than the Square Hi-rise Freestanding Bath Mixer with Hand Shower. 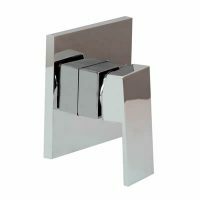 Buy this bath mixer at an unbelievable bargain from our online store today!